CommGeniX is more than just another full-service medical communications agency. We combine unrivaled therapeutic expertise with exceptional program design and delivery to meet your unique needs. Our team focuses on adaptive solutions that yield measurable results. Our approach is based on an in-depth understanding of the market and the opportunities and challenges you face. Jody Simon earned his pharmacy degree from the University of Florida College of Pharmacy in 1983. After owning and operating a successful community-based retail pharmacy, Jody cofounded Cortex Communications, a medical education company, in 1995. Cortex was acquired by Health Answers, Inc., in 1999. After completing his obligations to Health Answers, Jody then founded CommGeniX with several partners in 2000. In addition to serving as CEO of CommGeniX, Jody was a founder and is currently CEO of the Geriatric Oncology Consortium, a non-profit agency dedicated to improving care for the elderly cancer population through clinical research and education. Jody is also a managing partner in the Cancer Treatment Assessment Group, which conducts outcomes research across various tumor types. Jim Plumb is a founding associate of CommGeniX, starting with the company in October 2000. Jim was instrumental in planning and developing the original technology and telecommunications infrastructure for CommGeniX. He continues to plan, implement, manage, and support all internal computer and networking technologies, as well as telephone and related equipment, for all full-time associates. Additionally, his responsibilities include human resources administration, budgeting, purchasing, development of technical support documents, and overall facilities management. Jim also serves as Technical Director and provides project support for special client projects. 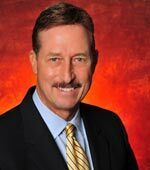 Jim's experience in the healthcare education industry spans over 20 years, beginning in 1993 when he joined Tampa-based Power-Pak Publications, Inc., as a Marketing Assistant. 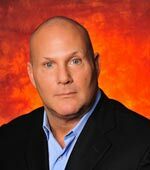 In 1995 he became a founding associate of Cortex Communications, Inc., where he worked as a Technology Assistant. 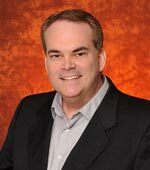 A native of Florida, Jim has also provided voice-over talent for web sites, multimedia applications, public service announcements, and private voice messaging systems. Steve Huber has more than 20 years of oncology experience, including 16 years at M. D. Anderson Cancer Center (MDACC) as Deputy Division Head of Pharmacy and Director of Pharmacoeconomics. He is a nationally recognized speaker on biotechnology, reimbursement, pharmacoeconomics, and strategic planning in health care. He has contributed to such journals as Hospital Formulary, American Journal of Hospital Pharmacy, Pharmacotherapy, Annals of Internal Medicine, Seminars in Oncology, and Cancer. In addition, he has developed and managed Pharmacoeconomics, Reimbursement Assistance, and Clinical Pharmacy Programs at MDACC, where he maintains a research appointment to the Department of Symptom Management and Palliative Care. Steve previously has served as president of Cortex Communications, president and CEO of the medical education division of HealthAnswers, president of Medical and Scientific Affairs for Publicis Healthcare Communications Group, and was a founding partner of StratCommPartners, LLC. Steve holds a bachelor's degree in Pharmacy and a master's degree in Hospital Pharmacy from the University of Houston. In addition, he completed a 2-year American Society of Hospital Pharmacists–accredited residency in hospital pharmacy at the Veterans Administration Medical Center in Houston. Rob is the vice president, clinical analytics for the Cancer Treatment Centers of America (CTCA). Before joining CTCA, he worked at the American Society of Clinical Oncology (ASCO) as the senior director of external relations and business development for CancerLinQ, and as the senior director of the Quality Department and managed a staff of 36 in developing oncology quality measures, ASCO Guidelines, the Quality Oncology Practice Initiative (QOPI), QOPI Certification Program, and the CancerLinQ program. He has more than 18 years of progressively responsible experience in health economic and strategy planning services related to clinical trials development, oncology registries, EMR systems, informatics, and business development. Before joining ASCO, he was the director of operations and informatics at the International Oncology Network. He spent six years as vice president and COO for the nonprofit Geriatric Oncology Consortium. He also spent two years with the research/consulting firm Abt Associates. While working on his doctorate, Rob had clinical responsibilities at Southwest Regional Cancer Center and Owen Healthcare (now Cardinal Healthcare). 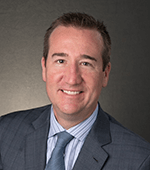 Rob serves on the board of directors for the Geriatric Oncology Consortium and on the advisory board of Doctors Helping Doctors Transform Healthcare. In 2010-2011, he helped shape oncology EHR use with the Certification Commission for Health Information Technology Oncology Work Group. Jim Koeller is Professor at the Center for Pharmacoeconomic Studies and holds the Eli Lilly/CR Sublett Endowed Fellowship in Pharmacy at the University of Texas at Austin College of Pharmacy. He is Adjoint Professor of Medicine and Oncology at the University of Texas Health Science Center at San Antonio. He previously worked in the Department of Human Oncology at Wisconsin Comprehensive Cancer Center, Madison, where he coordinated the Phase I Drug Development Program. Jim has published more than 250 articles, abstracts, and book chapters in the areas of oncology practice, pharmacoeconomics, new drug development, and supportive care for the cancer patient. In addition, he has made more than 500 presentations related to oncology, supportive care, pharmacoeconomics, cancer disease management, pathway development and management, and healthcare economics. Copyright 2012, CommGeniX, LLC. All rights reserved.